Every season, dozens of African American basketball players pack up their sneakers to play and live in Israel. They eat Israeli food, navigate Israeli hustle and bustle, experience cultural and religious customs in the world’s only Jewish country, and voluntarily expose themselves to the omnipresent threat of violence in the volatile Middle East. Some players are both Black and Jewish by birth. Others choose to convert to Judaism while residing in Israel. Some go so far as to obtain Israeli citizenship, enlist in the Israeli Army, marry Israeli women, and stay long after their playing careers end. 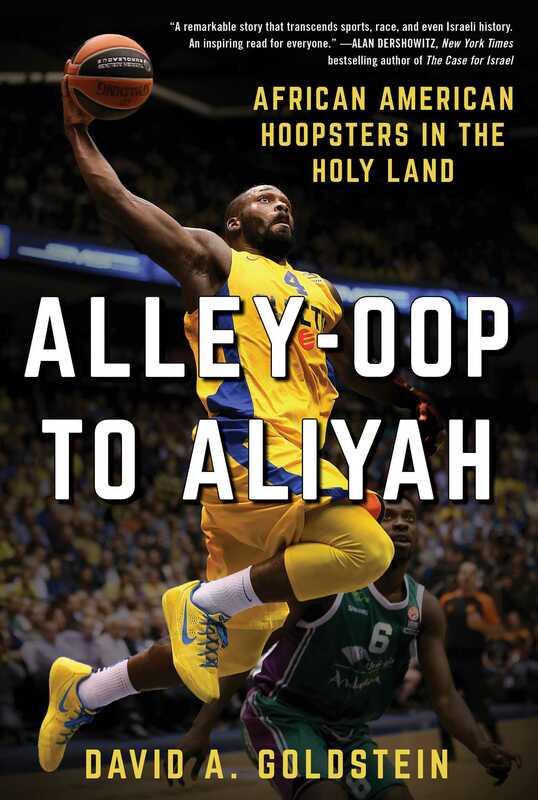 Alley-Oop to Aliyah: African American Hoopsters in the Holy Land, is the first book to provide an in-depth exploration and analysis of the experiences of African American basketball players in Israel from the 1970s till today. Author David A. Goldstein examines how they end up in the country in the first place, the multitude of distinctive aspects of their lives there, the challenges and difficulties they face, and the reasons some choose to return to Israel year after year. In some cases they even decide to stay in Israel permanently. Alley-Oop to Aliyah not only deals with basketball and its impact on Israel, but it delves into emotion-laden issues of race, religion, identity, and politics, primarily through the eyes of the players themselves, based on more than forty extensive first-person interviews Goldstein, a sports journalist of half-Israeli descent, conducted. Their stories and their impact on Israel are at the very heart of this revealing book that is about more than just a game.